Place the water and sugars in a medium saucepan, whisk to combine, and bring to a boil over medium-high heat. 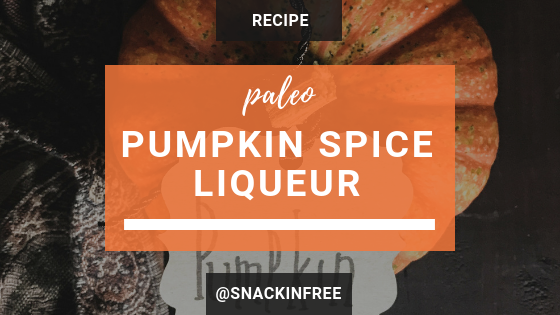 Add the pumpkin, cinnamon sticks, cloves, and vanilla beans – whisk to combine and return to a simmer. Reduce the heat to low and simmer, stirring occasionally, until the syrup is infused with flavor, about 30 minutes. Meanwhile, line a medium fine-mesh strainer with a piece of ultrafine cheesecloth and place it over a large heatproof bowl. Serve topped with sparkling water try ginger, cola, or lemon-lime Kombucha as a mixer. You can also make a KID FRIENDLY PUMPKIN JUICE by omitting the alcohol and adding flavored sparkling water or kombucha for a refreshing pumpkin surprise !